The situation in the zone of the ATO remains tense. The situation in the zone of the antiterrorist operation in Donbas remains tense as over the past day pro-Russian militants made 11 attacks at the positions of the Ukrainian army, the press centre of the ATO has reported on Facebook. From dusk to midnight, the militants at least two times used weapons against government troops. On the Horlivka-Svitlodarsk salient, ATO positions in Luhansk Region came under fire from heavy machine guns. 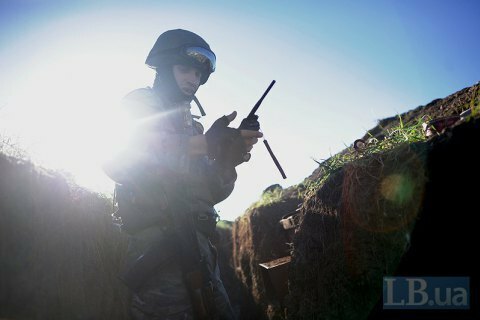 In the Mariupol sector, an enemy sniper targeted ATO troops in the area of Taramchuk. Also, the pro-Russian militants opened fire from small arms in the area of Novooleksandrivka, Luhansk Region.